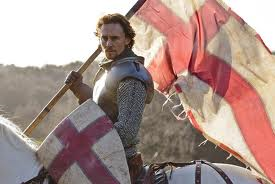 There's little doubt that without the sudden, unexpected death of Henry V in a chateau near Paris on this day almost 700 years ago there would have been no Tudor dynasty. English history would have missed out on Henry VIII, all six of those wives not to mention the battling sisters, Mary I and Elizabeth I and all the saucy high spirited shenanigans that went with the lot of them. Because Henry's death didn't just leave a power vacuum at the very top of government that led to the epic battles of the Wars of the Roses. It also left a young queen a widow at a very early age. And her high spirits and determination to find happiness after the death of her hero husband led to the creation of a family who would one day take his crown. Seamus Heaney, the boy from Bellaghy who became one of the most famous poets and writers in the world, has died The great poet, who has died today at the age of 74, was born in Northern Ireland and was a nationalist who made his home in the Republic of Ireland from 1972. He did accept the title of Saoi, an equivalent to national poet in the Republic, but always maintained that his politics precluded him from being considered as Poet Laureate in the UK. When you might just end up as first lady of the most bling bling monarchy in the world then the hen night has to be good. Tomorrow, Tatiana Santo Domingo marries Andrea Casiraghi who at the moment is in line to be sovereign prince of Monaco. Of course if uncle Albert has a legitimate heir then Tatiana will have to make do without a principality to call her own. But at the moment she is in line to follow, one day, in the footsteps of Princess Grace. And that means the wedding, and everything to do with it, will be scrutinized far more than your average posh do in the sun. When you're an experienced royal correspondent with decades of reporting under your belt, you know better than to say anything which might make you the news rather than the story you're covering. So when the BBC's Nichols Witchell found himself commentating on the surprise reappearance of the Duchess of Cambridge on official duty today he confined himself to the safe and sensible. 'She's looking very well, that's all I'm going to say' he commented as he started his live broadcast from Anglesey where Kate had unexpectedly accompanied William as he opened the island's notorious Ring of Fire marathon race. He was young and handsome. He provided gossip, royal glamour and for a while was breathtakingly close to the English throne. He went to Eton, studied history at university and travelled the world, spending quite a lot of time in Africa. And he gave his name to the man who will one day be king of England. This week marks the anniversary of the death of Prince William of Gloucester, the man after whom the Duke of Cambridge was named. 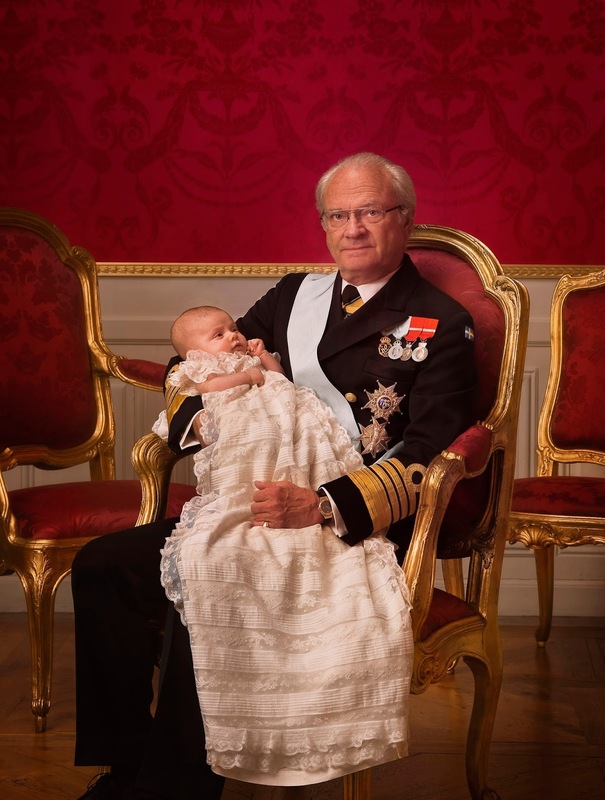 Being a first born child of a monarch or next in line to be monarch is now pretty much a guarantee of ending up king or queen of your country one day. But being the eldest grandchild seems to offer another guarantee - that of coming nowhere near a crown of your own. The current wave of European monarchs are all grandparents now - except Albert of Monaco and as his heir is his sister and she's a granny, they're almost there - and only one of them can expect their first born grandchild take the throne. While there might be lots of interest in the first birth of a new generation, what happens to those babies who are shuffled out of the succession by younger cousins? Photos have emerged of the Duchess of Cambridge doing the shopping at her local Waitrose and pushing the trolley back to the car. Nothing new there, we've seen Kate in that car park several times before having done the weekly shop for herself and William. Except these photos seem to show the Duchess just five weeks after the birth of her baby with a stomach so flat it's barely visible. The first born grandchild of Margrethe II of Denmark turns 14 today and some new photos have appeared on the Danish royal household's website to mark the occasion. 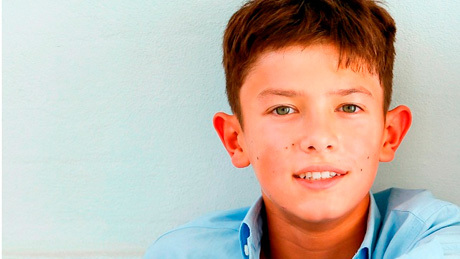 And very grown up he looks too. If becoming a grandparent marks a new phase in life then seeing that little baby looking like a young man must mark another. Suddenly that little baby that left the Rigshospitalet in Copenhagen in his mother's arms fourteen years ago looks like a young man. If you marry a princess then there's one thing you probably won't have to do unless you really want to and that's put together flat pack furniture. While other husbands will probably spend at least one Bank Holiday trying to figure out which piece of identical looking wood is part A and which is part K and what happens if you slot them together without checking and find the thing is back to front, royal husbands have palaces full of all kinds of wardrobes ready made for them. Dowels, Allan keys and annoying pots of glue that stick to everything except the thing they're meant to stick to are not a part of your life. So Prince Daniel of Sweden must have been a bit perplexed when he found his royal diary for August 26th included a trip to IKEA. Two weeks after losing her second son, the former queen of the Netherlands is resuming her public life. Her official duties for this week include an appearance at a concert in central Amsterdam on August 28th. But she was seen in public for the first time since the death of Prince Friso at another musical event where she accompanied her third son, Constantijn, and his wife, Laurentien, who were scheduled to attend. 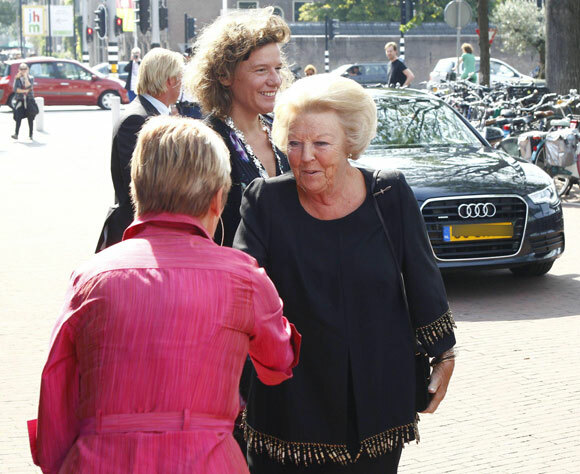 Princess Beatrix was with the couple at a concert at the Portuguese synagogue in Amsterdam given by the International Mahler Orchestra at an event organized by the European Cultural Foundation. He gave his first name to a hall, a museum, a memorial, a thousand streets and tens of thousands of babies who were all named after him when he arrived in England. And every generation of British royals since his have had a bevy of boys with his name somewhere among theirs. 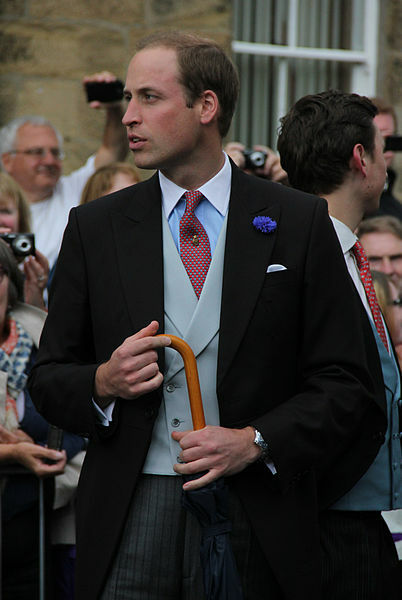 He remains the only man in British history to ever officially hold the title of Prince Consort. 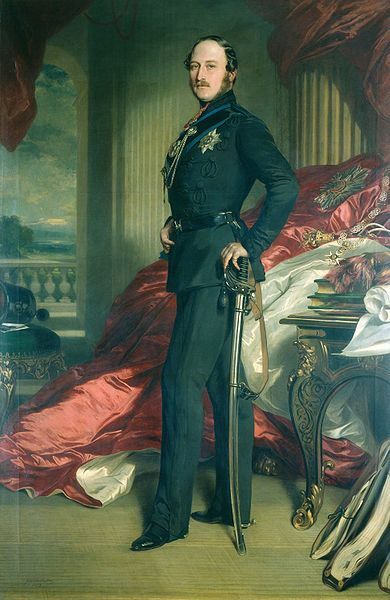 Today is the anniversary of the birth of Prince Albert. 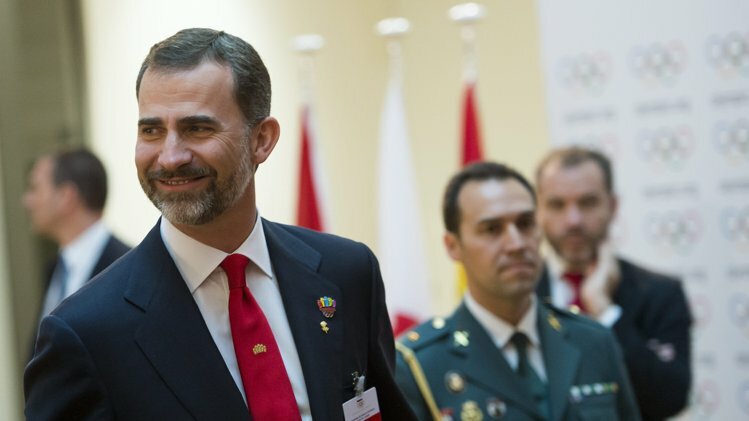 In a few days time, Felipe of Spain will arrive in Buenos Aires to help with the final push in the bid to bring the Olympic Games to Madrid in 2020. He's the Honorary President of the city's attempt to become the host venue and he will spend five days in meetings, at presentations and talking face to face with the members of the International Olympic Committee who will decide where the greatest sporting show on earth will take place in seven years' time. If Madrid does win the race for the rings then it could give Felipe the boost he needs at a tricky time for the Spanish monarchy. Reports that the Duke of York and his former wife may be about to get back together are nothing new. 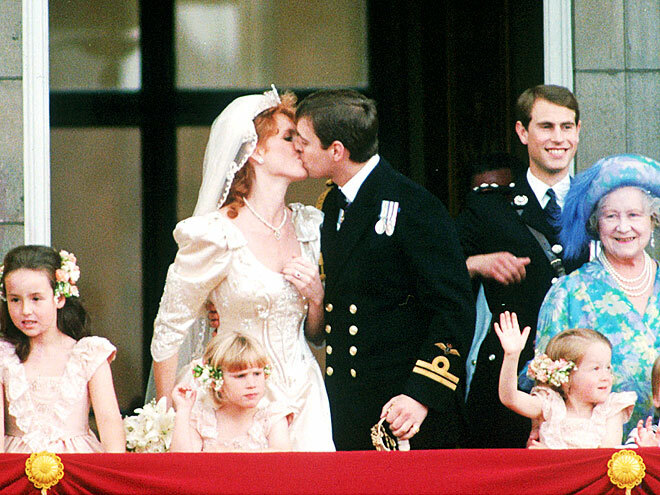 Prince Andrew and the former Sarah Ferguson have a reputation as the happiest divorced couple in town and they have shared a home, on and off, since their split became legal in 1996. Every few years rumours of another wedding for the pair surface - today's whispers mention an unnamed friend saying it will happen, eventually. Which covers all bases for a while at least.